with urdu literature again and again. This is so heart touching news. Faiz Ahmed Faiz was the poet who had a great ability to express their feelings of both love and sad mood of the poetry. Recently I read 'App Ki Yad' , I really feel my loves one while reading the lovely lines. On this poetry the poet Faiz Ahmed Faiz expressed there sad feelings, he had an ability to wrote Ghazal in both love and Sad mood but I really like his sad ghazal collection. 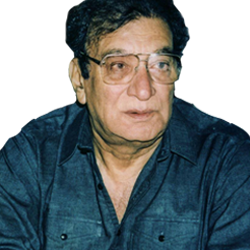 Faiz Ahmad Faiz was the great legend of Ghazalz, actually the main reason of loving Faiz poetries, the words he used in Ghazal is quite easy to understand and clearly gives the message to the reader. 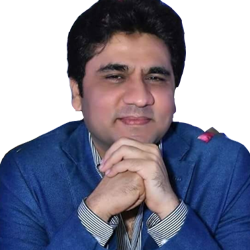 Every stanza of this Ghazal 'Aap Ki Yad Aati Hai Raat Bhar' is full of love. Faiz Ahmed Faiz is the poet, his love mood is just available in his few collection. Faiz Ahmed Faiz use his name brilliantly in this 'Raaz e Ulfat Chupa Kar Dekh' poetry. It is also an art of the poet to use his name in the stanza of the poetry, Meer Anees was also used it in a very lovely manner. Faiz Ahmad Faiz had the ability to wrote poetry in all the variations. On this page I can view his Sad and Love poetries collection in which 'Dil Mein Ab Yun Tere Bhule Huye Gham Aate Hain' is my favorite. Sadly people don't read such poetry anymore. They're missing something big. 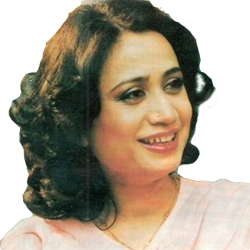 Faiz Ahmed Faiz Poetry – A person who has done much work to give Urdu poetry a new look and impression is Faiz Sahab. Those who have special attachment with Urdu Poetry are familiar with the brilliant work of Faiz Ahmed Faiz. He is a revolutionary poet, song writer, and intellect whose work has been translated in various languages including Russian, and English. Faiz Ahmed Faiz poetry of early times had been conservative, light-hearted narration on love and beauty. 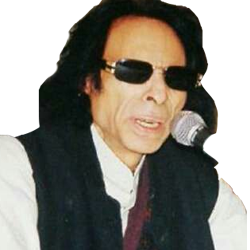 When he was in Lahore and trying to expand his career in politics, community, and the thematic relatedness he felt was essential in both life and poetry. Faiz Ahmad Faiz was born on February 13, 1911 in Kala Kader, Sialkot, & died on November 20, 1984 in Lahore, Punjab Province. 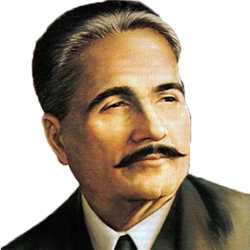 He was a leading left-wing intellectual, revolutionary poet, and one of the most well-known poets of the Urdu language from Pakistan. 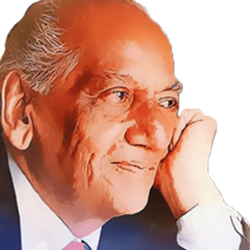 Faiz Ahmad Faiz started writing on the conventional subjects of love and beauty, but shortly these conventional subjects came together in the larger social and political issues of the day. It changes away from romance to realism, beautifully defined in his poem "Mujh se Pehli si Mohabbat meri Mehboob na maang”. Faiz Ahmad Faiz was rewarded by Soviet Russia with the prestigious Lenin Award for Peace and his poems have been translated into the Russian language. His poetical collections include Naqsh-e-Faryadi (1943), Dast-e-Saba (1952), Zindan-Nama (1956) and Dast-e-Tah-e-Sang (1965).Read the latest and best collection of Faiz Ahmed Faiz shayari in Urdu and English online on HamariWeb. You can share your favorite verses from Faiz Ahmed Faiz poetry collection online.